Kids, take over the kitchen! Cook your way through the alphabet with fun and exciting recipes from After-School Apple Dip to Zebra Cupcakes. 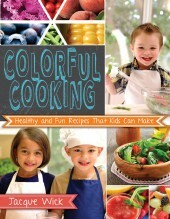 Parents will love the glossary of kitchen tools and advice on teaching children about buying the food they cook. The book has easy-to-read recipes and step-by-step photos, so your children’s first kitchen adventures are guaranteed to be a success! Kids, take over the kitchen! 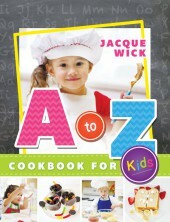 Cook your way through the alphabet with fun and exciting recipes from After-School Apple Dip to Zebra Cupcakes. The book has easy-to-read recipes and step-by-step photos, so your children’s first kitchen adventures are guaranteed to be a success!